This post is part of Travel Blog Series where we are talking about creating a travel blog from scratch. Travel stories can inspire you to write your own stories and share it with your readers. 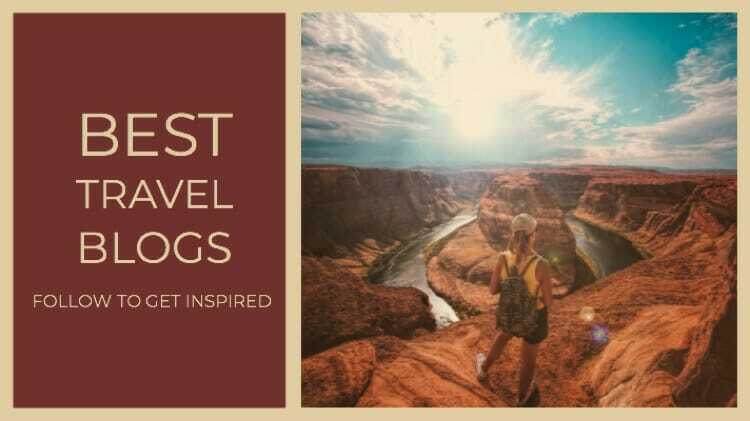 So here are best travel blogs which you should follow to get inspired. The travel blogging field has exploded tremendously over the past decade. The people, who simply use to share their adventurous journeys with their friends and family, now they are operating as travel bloggers. It’s becoming easier and easier for the people to start their own travel blog and share their stories with the world. 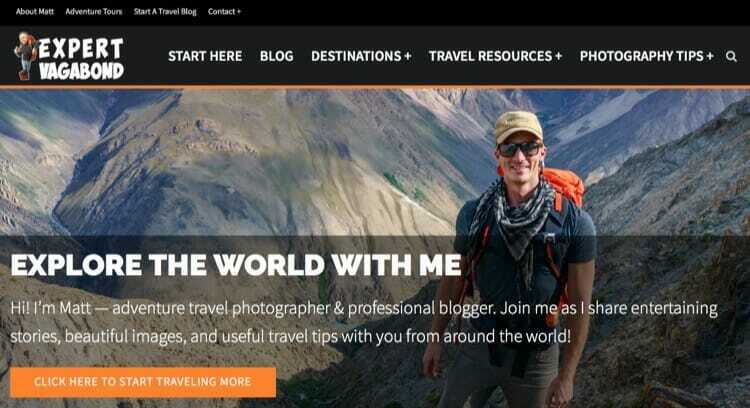 Nowadays, travel blogs are also transforming the way people travel. They are sharing beautiful photography, stories and encouraging travelers to experience the pleasure of exploring the new sites on the planet. You also get tips and tricks to enjoy an unknown destination with comfort and ease. 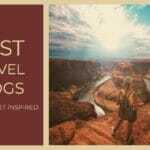 So, if you are looking for some inspiration to start your own blog or some adventurous destination, here is a list of 10 best travel blogs which can help. The person behind this blog is Matt Gibson, an adventure travel writer, and photographer. Initially, he built this website to promote his writing and photography to magazine and website editors. But now the website has become an inspiring and inevitable source for travel and outdoors adventures lovers. Matt Gibson is known for doing ridiculous things and expressing his level of joy via stories. The photo essays on his website are intended to express the beauty that he has found in our world. His tutorials will let you know how to expand your abilities safely and explore the world through adventure sports. The names associated with this blog is of a couple, Nellie, and Alberto. They have created this blog to motivate others to get off the conventional trail and seek out extraordinary experiences. Nellie is specialized in outdoor adventures, wildlife experiences, and unusual destinations. The couple is traveling around since 2003, experiencing over 100 countries on seven continents together. They cover their travel destinations in detail and with striking photography. This adventure travel blog covers everything from gastronomy to culture. It gives the user an access to read stories from different parts of the world. They also organize WildJunket Tours to remote and unconventional destinations around the world. If you like, you can book and visit those places along with them. The blogger Ian Ord inaugurated this blog to document his off-the-beaten-path travels and analyzing how to create the positive impact on the cultures and natural environments that he visits. His main concentration is on transformative travels that transform the lives of travelers and locals alike. The blog will assist you in exploring the places that you can not find in your run-of-the-mill guidebooks. These are the places that don’t attract the crowds but are still mighty cool. Follow one of the best travel blogs and get an access to the real world. This baby boomer blog was founded in 2010 by Catherine Sweeney. The main concentration of the blog on culture, lifestyle, the arts, food, and historical landmarks. Sweeney and her husband publish striking photographs and their personal stories for their readers. The best part about this blog is that they offer tips and perspectives in order to help travelers belonging from various age groups and having different experience levels. 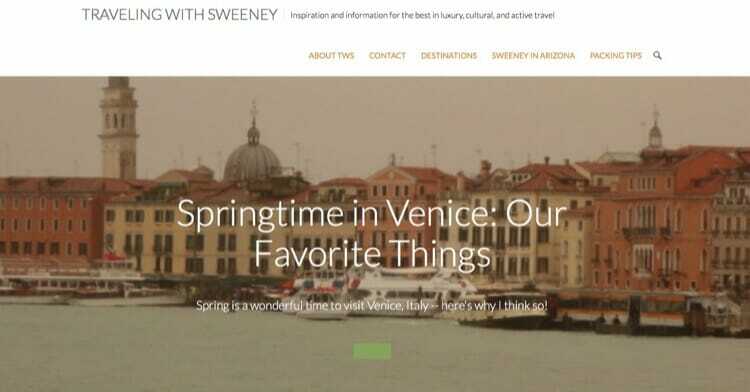 The blog is an inescapable source of inspiration and information for the best in luxury, cultural, and active travel. The blogger Laurel Robbins has worked in environmental education at a Zoo. Her blog has a wide coverage from soft adventures like day-hiking to diving with sharks, extended mountain treks, and epic cycling tours. If you are hunting a blog that provides you with details on the trips that provide adventure and stick with you long after the vacation is over, then this blog is exclusively for you. This makes if one of the best travel blogs and a must to follow. Laurel shows a more rewarding way to travel and will introduce you to the places you may not have heard about. A British travel writer Emma Higgins founded this travel blog in 2010. This blog allows the people to know about the place in depth as the blogger discovers the world by dedicating an entire year to one place before switching to next. Their immersive travel stories will throw you into their current selected place. You can also find inspirational pieces about the culture of travel to bring your passion for the world to your routine life. This blog is for the folk who are exceedingly curious to know about our planet and want to explore it with a mindful eye. This blog by Matthew Karsten is a perfect blend of useful travel tips, fun videos, and captivating photography. The blogger is specialized in adventurous outdoor activities. The unique aspect of this blog is that it is always packed with entertaining stories on crazy adventures such as camping on an active volcano in Guatemala and trekking Greenland’s Arctic Circle trail. He lets his followers know how to travel the world, to seek experiences over possessions, and open their mind to upcoming possibilities. The blogger Becki is a British Travel Press award-winning writer and avid explorer. Her blog is a platform where destination motivation is combined with social, historical, political, and cultural reporting. Her writing is concentrated on changing perceptions and throwing light on the misunderstood aspects of specific destinations or entire countries. Becki is passionate about uncovering places of enormous change, deep culture, and wider meaning. Her aim is to provide information to her followers about how to travel differently, adventurously, responsibly and with purpose. Y travel blog will help you in escaping the chaos. The blogger is serial travel addict and have lived in 5 countries and had adventures through 52. 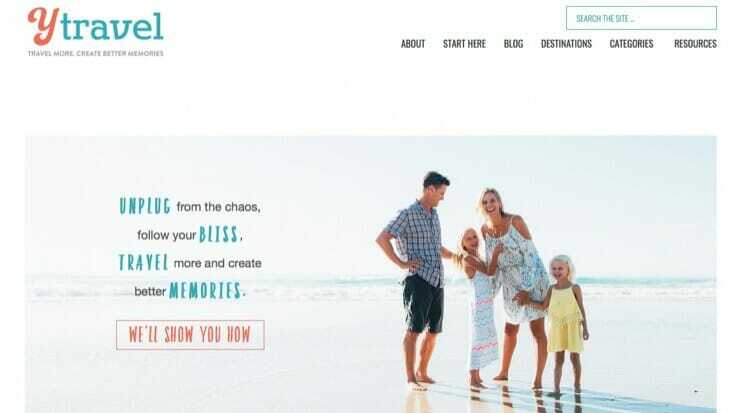 If you are looking for a blog to fuel your heartily desire for travel and learn how to do it too, then Y travel blog will be your true companion. They will share the real world with you via interesting stories and will provide you with ample of tips to help you in exploring the world with your loved ones. Don’t bother yourself with the fears as the blogger will help you in kicking away those too. The blog helps over 300k people every month in transforming their desires into reality. This blog and podcast are the creation of Chris Christensen. It assists you in deciding where to go next. Destination experts or the traveler who has been to the destination recently are interviewed to provide you with better insight of the destination. The blog aims to motivate people to travel and explore the planet. 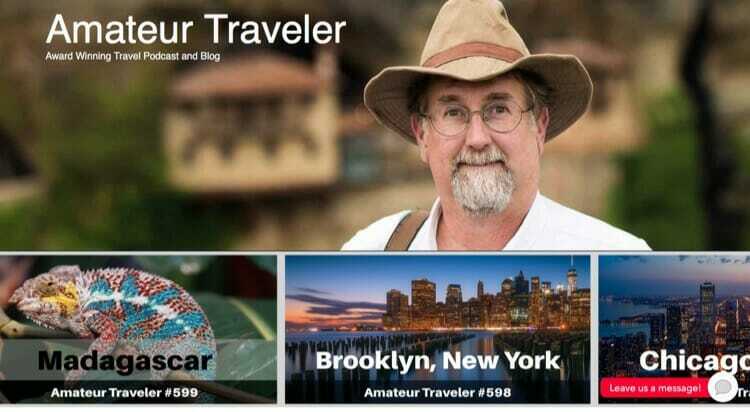 Among the various travel bloggers, Amateur Traveler is a comprehensive, entertaining, and reliable source of obtaining relevant information regarding inspiring destinations all over the planet. So, here are some of the best travel blogs which you can follow and get inspired to create your own memories. Go ahead and check them out. 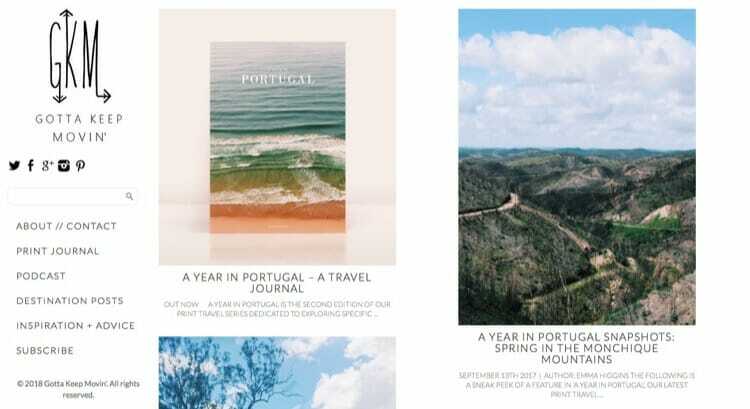 This is indeed a remarkable collection of travel blogs for inspiration. You did a great job putting these together for the benefit of your readers. I will start with the first 2 to see how it goes. Thank you for this insightful post. Thanks for liking and sharing the post. 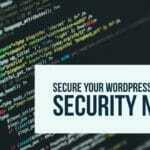 Hopefully, you will enjoy the blogs mentioned in the post. Very nice collection of trvel blogs. I also follow some youtube channels. They are always a great source of learning new things about the destination. Good Point. Youtube videos can also be a good way for learning about destinations. 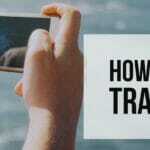 Most of the travel bloggers are including videos in one way or the other in their content.